Q: Can I upgrade my shingles? A: Yes. The insurance company will usually pay to replace the kind of shingles you currently have on your home. A common shingle used on older homes is a 3 tab shingle. Usually we can upgrade you to an architectural shingle for between $400-$500 depending on the size of your roof. Q: How long will the roof installation take? A: Typically a roof replacement will take 1-2 days to complete. Although some may take longer. Q: Will my insurance company cover rotten wood? A: In most cases no. Rotten wood is seen by insurance companies as a maintenance issue and it will usually not be covered. Q: Will I need to replace my gutters and downspouts? A: If they have been damaged by wind or hail then they will normally by replaced. Unless the claim was hail related, we usually leave the gutters and downspouts. Q: Can I use different types of vents? A: Most shingle manufacturers recommend using a ridge vent. This is the most efficient way for heat to escape the attic since it is located at the highest point. If your home has other ventilation such as box vents or whirly birds those vents will need to be filled in before adding ridge vent since the two can counteract one another. A: Typically we install GAF shingles because we are certified installers for them. As long as we use certain accessories made by GAF we can offer a 50 year non prorated warranty on your roof system with a 10 year labor warranty. Q: Can I do a layover on my existing shingles? A: As long as you have only one layer and there is no obvious rotten wood on your roof deck, we can usually do a layover and offer the same 50 year material warranty from GAF. The benefit of a layover is they cost less to install than a tearoff because there is less material and labor involved. However, the best way to roof a house is a tearoff so you can inspect the roof deck and make sure there is no rotten wood. Q: Do I need to replace my entire roof because it is leaking? A: Not necessarily. Leaks usually occur around flashings or other roof penetrations. As long as the rest of the roof is in serviceable condition most leaks can be fixed without a full replacement. 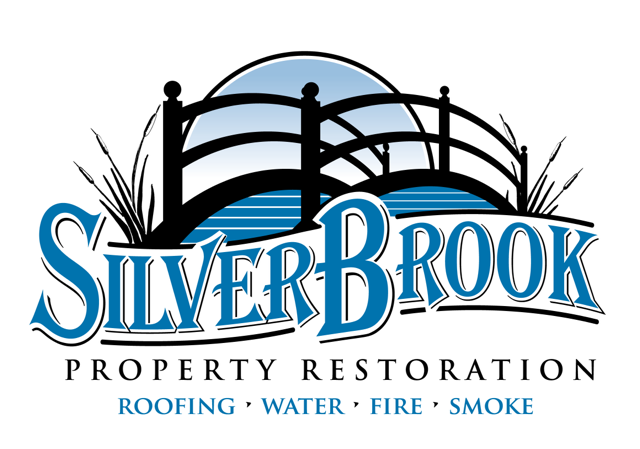 Q: Should we get SilverBrook Property Restoration to meet the adjustor on site when they inspect the roof? A: Yes. By meeting the adjustor we can work together to insure we are all on the same page when it comes to damage assessment and eliminate most disputes over the extent of damage. We can also point out damage to make sure the adjuster does not overlook anything while they are on site.